Who knew that credit card processing would be the new hotness for smartphones? The Square mobile payment system has been making waves by letting small businesses receive credit card payment directly on their smartphones. 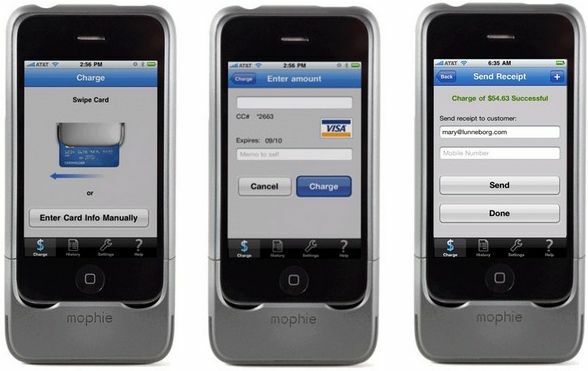 Now, mophie and Intuit are looking to get in on the same action with their Complete Card Solution for iPhone. It's a $179 package that includes both mophie's card-swiping phone case and the 3.0 version of Intuit's GoPayment app. After a quick application users are said to be approved (or, erm, declined) within 15 minutes and can immediately start accepting payments. A single account can also cover up to 50 users, meaning an entire sales team could be equipped with these devices. 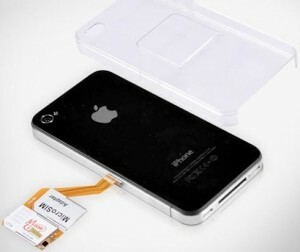 But this case, which encrypts every credit card number before it gets to the phone, will only work with the iPhone 3G/S. 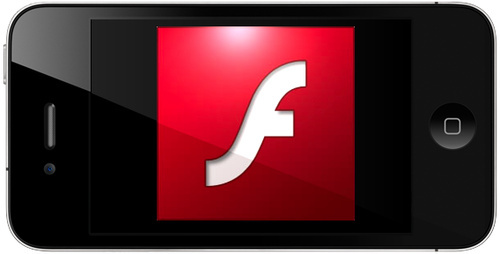 The developers have recently tested Windows Phone 7. 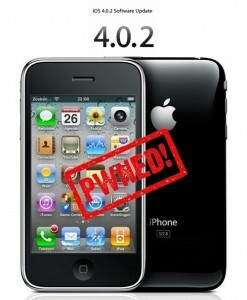 We've already seen how Windows Phone 7 tried to overcome iPhone 3GS that runs on iOS 4. 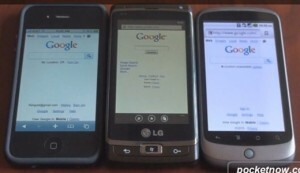 Now Pocketnow offers a unique opportunity to check the web-browsing with Internet Explorer on Windows Phone 7, comparing it with Nexus One, running on Android 2.2 Froyo and iPhone 4 on iOS 4.x. According to Pocketnow, Windows Phone 7 has something to show your iPhone and Nexus One. But we should not draw hasty conclusions. Steve Jobs, Apple’s CEO, confirmed that the new software update iOS 4.x will appear in the near future to correct performance problems on the iPhone 3G, which works on iOS 4.x. He confirmed it while answering to the email he got from a user who was disappointed with the iPhone 3G performance running on iOS 4, describing it as "dog slow". Turn your iPhone into mini Mac right now! Now you can find a lot of accessories for iPhone 4, some of them offer high functionality, while others make it even more attractive! 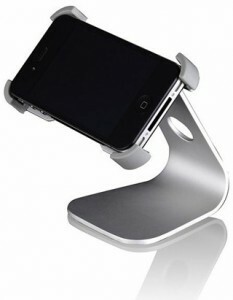 Most of you probably have already seen accessory Xtand for iPhone 3GS, 3G and iPod touch, which enjoys wide popularity. 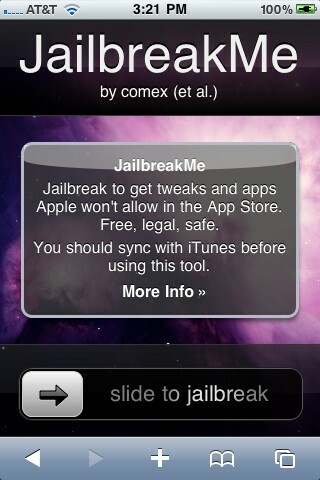 Its main advantage is that it allows you to turn your iPhone into "the smallest desktop in the world." Xtand accessory is fully compatible to work with iPhone 4, but most important is the fact that now everyone can make his or her favorite iPhone 4 in the “mini” iMac, to give it a presentable appearance. Do you still doubt? Then look at the image above. 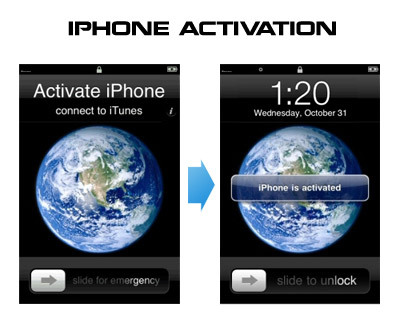 Accessory Xtand is a perfect complement to the existing list of accessories for iPhone 4 and it is without a doubt, the best way to show off your iPhone 4 all around. It can be ordered from the Apple Store for $ 24.95. Today Apple released patches for its iOS that address a security hole in Mobile Safari, which allowed users to jailbreak their iDevices. 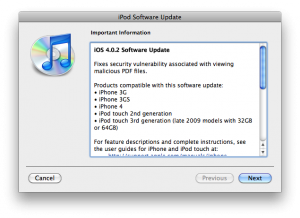 The PDF exploit they used also allowed hackers to gain remote control over the device with an iOS. 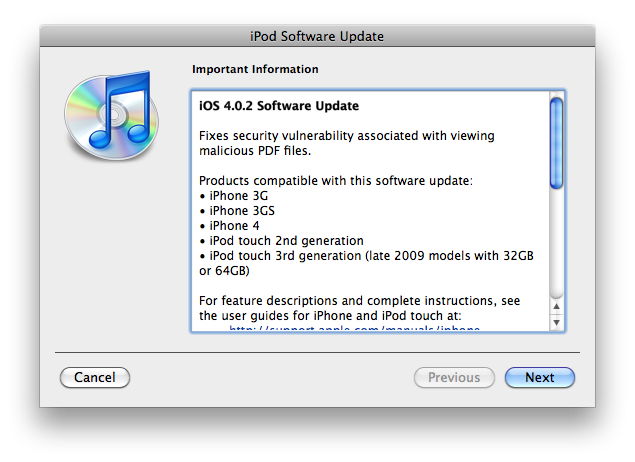 Apple did NOT release the patch for the first generation iPhones. 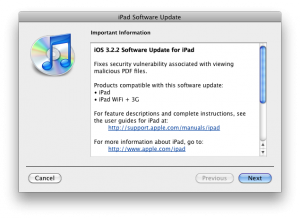 iOS 3.2.2 is intended to use on the iPad and iPad 3G. 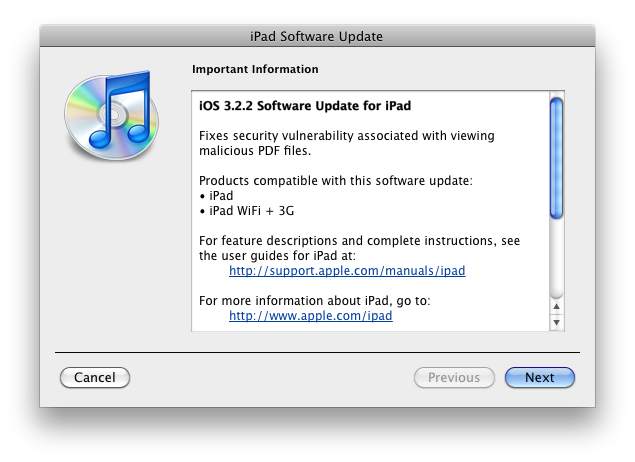 You can update your device via the links above or simply by connecting your device to iTunes and clicking Update. But note, if you want to continue using jailbreak you should not update your handset/tablet and don't forget to backup your SHSH blobs. 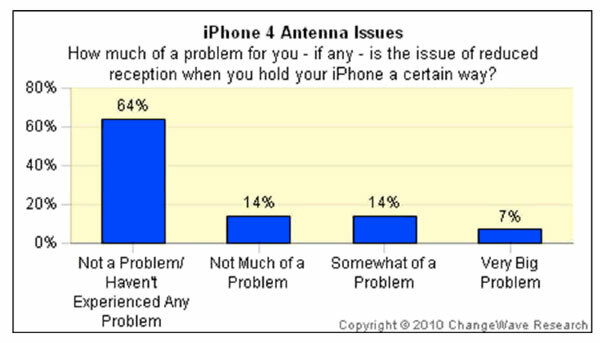 "Despite all of the issues surrounding the antenna, in actuality iPhone 4 owners reported experiencing fewer dropped calls on the average than iPhone 3GS owners".